Ring-resonators are in general not amenable to strain-free (non-contact) displacement measurements. 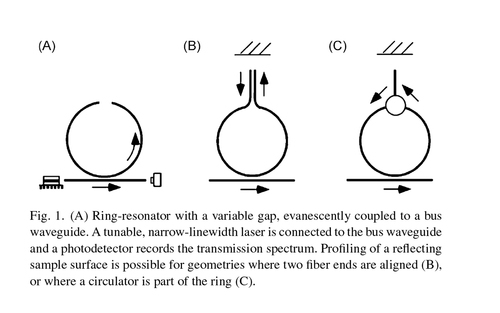 We show that this limitation may be overcome if the ring-resonator, here a fiber-loop, is designed to contain a gap, such that the light traverses a free-space part between two aligned waveguide ends. Displacements are determined with nanometer sensitivity by measuring the associated changes in the resonance frequencies. Miniaturization should increase the sensitivity of the ring-resonator interferometer. Ring geometries that contain an optical circulator can be used to profile reflective samples. (c) 2006 Elsevier B.V. All rights reserved. 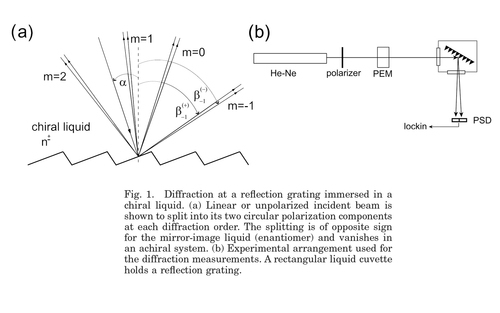 Ghosh, A., Hill, W., Fischer, P.
We show that magnetic-field-induced circular differential deflection of light can be observed in reflection or refraction at a single interface. The difference in the reflection or refraction angles between the two circular polarization components is a function of the magnetic-field strength and the Verdet constant, and permits the observation of the Faraday effect not via polarization rotation in transmission, but via changes in the propagation direction. Deflection measurements do not suffer from n-pi ambiguities and are shown to be another means to map magnetic fields with high axial resolution, or to determine the sign and magnitude of magnetic-field pulses in a single measurement. 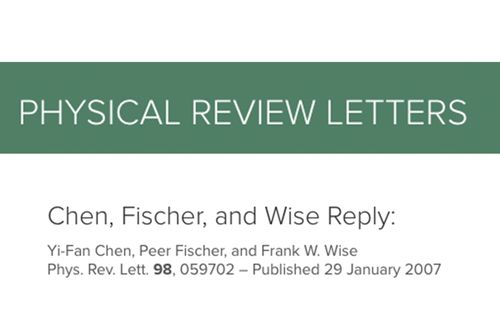 Chen, Y., Fischer, P., Wise, F. W.
Ghosh, A., Fazal, F. M., Fischer, P.
In an optically active liquid the diffraction angle depends on the circular polarization state of the incident light beam. 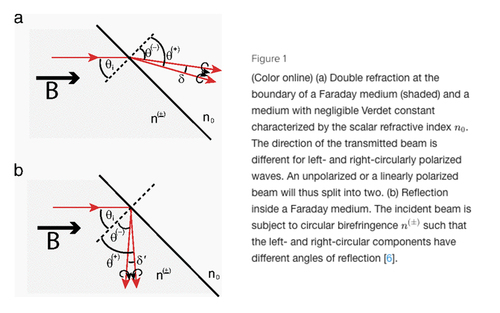 We report the observation of circular differential diffraction in an isotropic chiral medium, and we demonstrate that double diffraction is an alternate means to determine the handedness (enantiomeric excess) of a solution. (c) 2007 Optical Society of America.